I tried map hopping today – something I have not done for quite a while. If you haven’t done this activity yourself in Secondlife, you should try it – it’s great fun! Anyway, I ended up on a series of sims named Zenshi, which is a fashion lovers paradise. On arrival, you can take the little shopper HUD that is offered, and teleport all around the sims with ease. 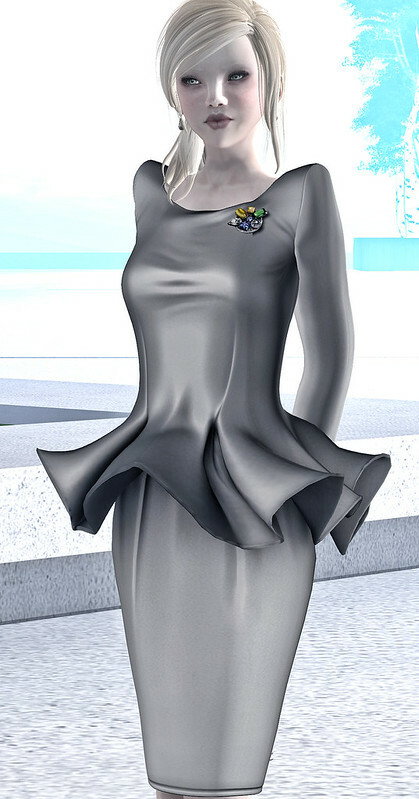 The brooch comes with the dress, which is in two parts – skirt and top. There is also quite a range of colours to choose from.